Liz joined our team on January 7th, 2019 as WCS's Big Sky Watershed Corps Member. The Big Sky Watershed Corps is an AmeriCorps program that assists Montana’s watershed communities in local conservation efforts while strengthening the experience of young professionals. As a member of our team Liz will: 1. Organize, facilitate and seek growth for our seventh annual Summer Wildlife Speaker Series, Getting to Know Your Wildlife Neighbors; 2. Continue to build the conversation around conservation in Southwest Montana; 3. Help to expand our social media presence; 4. Assist in implementing our human-wildlife coexistence and land stewardship projects. 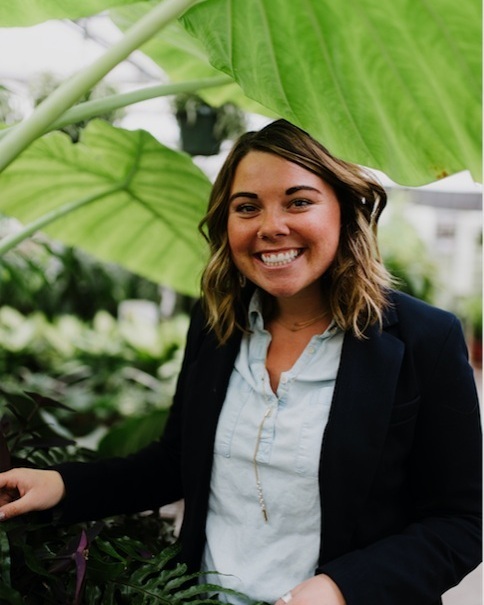 Liz received her bachelor’s degree in Watershed Science from Colorado State University in 2017 and spent her undergraduate career working with climate change models through both a hydrological and ecological lens. Through her studies and personal experience, Liz has found a passion for the relationships between people and their ecosystems in a changing climate. When not in the office, you can usually find Liz out skiing, mountain biking, fishing or painting in her beautiful home of Southwest Montana. You will see Liz throughout the year at various stakeholder meetings, at our Summer Wildlife Speaker Series events and present on our WCS Community Partnership social media pages. Quincey joined our team on January 8th, 2018 as a Big Sky Watershed Corps Member. The Big Sky Watershed Corps is an AmeriCorps program that assists Montana’s watershed communities in local conservation efforts while strengthening the experience of young professionals. As a member of our team she will: 1. maintain and grow a communication plan to demonstrate the effectiveness of our projects; 2. plan and implement our sixth season of the Summer Speaker Series, Get to Know Your Wildlife Neighbors; 3. continue to expand our social media presence; and 4. engage the community in conservation efforts through inspiring the public about wildlife. Quincey received a bachelor’s degree in Environmental Studies from Hobart and William Smith Colleges in 2016. 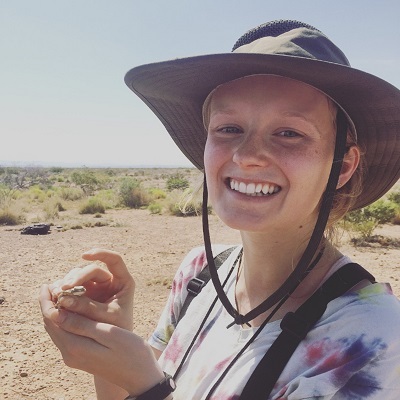 She has worked as a research assistant at Penn State studying forest ecology as well as at Hobart and William Smith studying salamanders and lizards in New York and New Mexico. Quincey most recently worked as a naturalist for the Glacier Institute in Glacier National Park teaching environmental education to elementary and middle school students. Dr. Kretser uses tools and perspectives from the social sciences to achieve greater conservation impact by understanding the human dimensions of natural resource policy and management issues. She is using this approach to understand and resolve complex conservation questions pertaining to human-wildlife interactions, the impacts of low-density rural development on wildlife, best practices for engaging local people in conservation projects across North America, and collaborative approaches to build capacity and achieve conservation outcomes across diverse constituents. Dr. Kretser serves as an Adjunct Assistant Professor at Cornell University's Department of Natural Resources. She completed her Ph.D. in the Human Dimensions Research Unit at Cornell University and holds a master's degree from the Yale School of Forestry. Lucinda joined our team on January 4th, 2016 as a Big Sky Watershed Corps member. The Big Sky Watershed Corps is an AmeriCorps program that assists Montana's watershed communities in local conservation efforts while strengthening the experience of young professionals. As a member of our team she: 1. helped build a communication strategy to demonstrate the effectiveness of our projects and the role of collaboration; 2. planned, implemented, and built a sustainability plan for our popular Summer Speaker Series, Get to Know Your Wildlife Neighbors; 3. expanded our social media presence; and 4. assisted in implementing our human-wildlife coexistence projects. Lucinda received a bachelor's degree in Earth, Society, & Environmental Sustainability from the University of Illinois at Urbana-Champaign in December 2012. She has worked as a research assistant in the U of I Atmospheric Science Department as well as the Illinois State Water Survey Atmospheric Section, and was a research specialist in the Groundwater Section of the State Water Survey. She is an accomplished musician and published author, with research papers about the Aral Sea and methods of conducting outreach to private well owners. Sara joined our team on January 5th, 2015 as a Big Sky Watershed Corps member. The Big Sky Watershed Corps is an AmeriCorps program that assists Montana's watershed communities in local conservation efforts while strengthening the experience of young professionals. As a member of our team she: 1. helped identify and build a strategy for communicating and assessing multiple partner monitoring objectives for our stream restoration projects; 2. planned, implemented, and built a sustainability plan for our third season of the popular Summer Speaker Series, Get to Know Your Wildlife Neighbors; and 3. increased our media presence and community outreach efforts. Sara received a bachelor's degree in Natural Resources Management from Cornell University in May of 2013, where she was advised by Human Dimensions Professor Dr. Dan Decker. Her previous work experience includes serving as a field biologist for the Rocky Mountain National Park Service, a Peace Corps Volunteer in Jamaica, and a landowner incentive program intern at the NYS Department of Environmental Conservation. She is also an Adirondack High Peaks 46er and has a black belt in Tae Kwon Do.